Why travel with High Camp Adventure? Being rich in natural, cultural, religious and historical aspects, Nepal is one of the most favored tourist destinations around the globe. Every year thousands of people from around the world arrive in Nepal to enjoy its pristine beauty and rich culture. However, there are few areas in Nepal termed as “restricted areas” which require special permission to enter. The purpose of restricting these areas is to preserve and protect the unique culture and environment from degradation. Situated in the northwest side of Nepal, Dolpo region is highly dominated by the Tibetan lifestyle. Shey Phoksundo National Park, Phoksundo Lake, and views of iconic mountain ranges are its special features. The permit fee for an initial 10 days costs the US $500 per person, and after 10 days, per person per day charge costs the US $50 or commensurate adaptable foreign currency. The best season to travel to Dolpo is either spring (April-May) or autumn (October-November). Kanchenjunga is a pristine trekking region which lies in the far eastern part of Nepal and bestows heavenly vistas of the Himalayas, unique landscapes, and rich cultural experiences. Per week permit fee per person to Kanchenjunga Base Camp costs the US $10 or equivalent adjustable foreign currency. Summer is the best time of the year to travel to Kanchenjunga Base Camp. Situated at an elevation of 3840m to the north-west of the country, Upper Mustang is a rain shadow area demanding extra trekking permit. Tiji festival is the major attraction of this region which is celebrated amid the monsoon and comprises of Tibetan rituals. The per person permit cost for the initial 10 days costs the US $500, and after 10 days, per person per day permit fee will cost the US $50 or commensurate adaptable foreign currency. 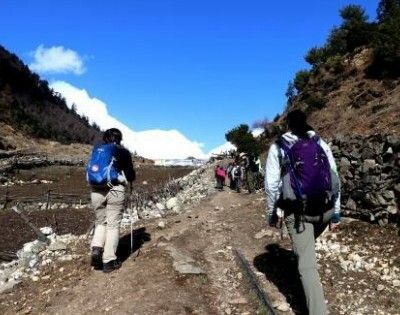 Spring and autumn are the best seasons to trek to Upper Mustang. 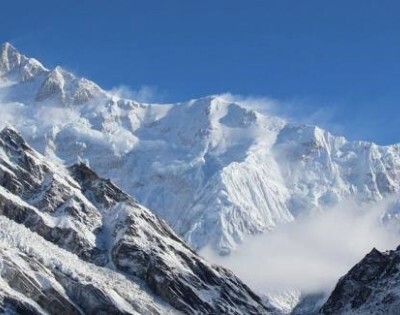 Situated to the west-central part of Nepal in the Mansiri Himal Range, Manaslu region bestows alluring views of iconic mountains including Mt Makalu (8163m), beautiful tea houses, the unique blend of rich cultural heritage, and other adventure activities. The permit charge from September to November every week per individual costs US$ 70, and after 7 days, for each day per individual the charge is US$ 10. From December to August the charge every week per individual is US$ 50, and after 7 days, for every day per individual, the cost is US$ 7, or comparable convertible foreign cash. 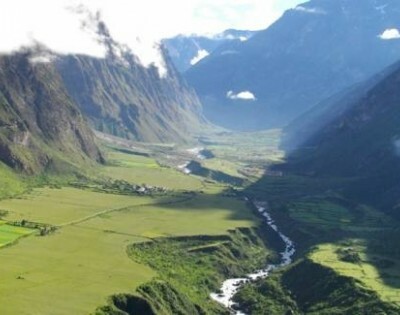 Located in the far-western region of Nepal, Simikot is a remote village that overtures unique lifestyle, exclusive wildlife, alpine vegetation, and unbound natural beauty. The permit cost for the initial 7 days for every individual is US$ 50, and after 7 days, for each day per individual, the cost will be US$ 7, or proportionate convertible foreign money. You must acquire the trekking permit before heading for these restricted areas of Nepal. The permit can be gleaned from the office of Nepal Tourism Board at Bhrikuti Mandap, Kathmandu. The trekking to these areas might be strenuous and may require extreme physical efforts, but the reward after reaching the goal is worth everything. Copyrights © 2019, High Camp Adventure Pvt. Ltd. | All Rights Reserved.